Fits Royal Metal upright vacuum cleaners with top fill bags. Traps 100% of pollen and 99. 9% of dust and allergens. Traps 99. 9 % of all particles as small as 1 microns. Retains dust, pullen, bacteria and other contaminates while you vacuum. 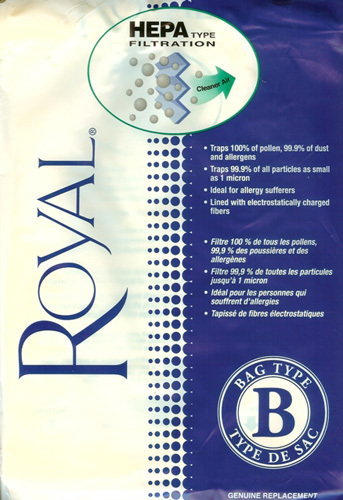 Ideal bags for allergy sufferers.